Open finger mittens are very popular and these are eco friendly, made from a felted wool sweater! If you wan to keep your fingers free for your touch phone, playing an instrument or any other reason, check these out! 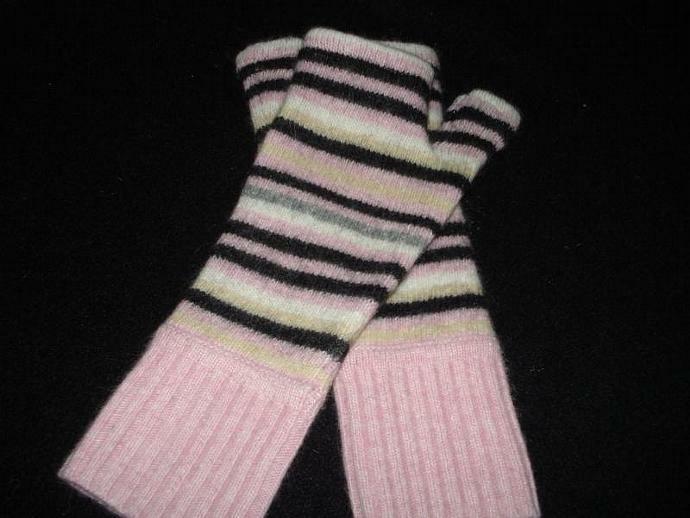 Felted wool in pink, black, yellow/tan and white stripes. These are soft and will keep your arms and hands warm this winter!